Unlike unsightly steel piping that ultimately rusts and contributes to concrete cracking and seperation, the J Drain Curb Drain by Granger does not rust or crack. Replace ugly under the curb drains with attractive solutions from Granger! 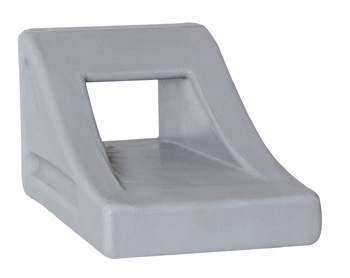 Utilizing one of the only processes that could produce such a strong, durable and rigid product, Rotational Molding, the Curb Drain by Granger features virtually stress free physical properties as the Rotomolding process does not introduce any stress into the product as it is manufactured. Whether a new installation into a brand new curb or replacing an unsightly curb drain in an existing curb, the J Drain Curb Drain is simple and easy to install. 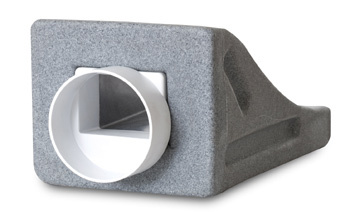 J Drain Curb Drain features an innovative design that allows the curb drain to connect to a number of widely available, off the shelf connections and down spout adapters. Whether you are trying to match your landscape, home, small business or even simply the curb, Granger's Curb Drains are available in a number of standard colors as well as custom colors where order quantity permits. 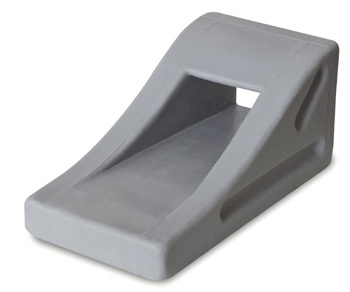 The J Drain Curb Drain is the latest innovation in thru the curb (or under the sidewalk) curb drain systems. Featuring durable polymer construction via the rotational molding process, the curb drain offers long lasting curb appeal with easy installation! 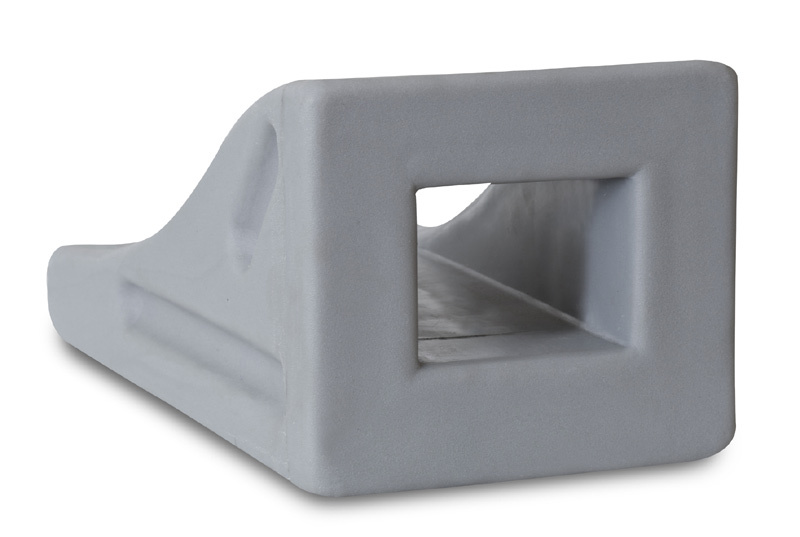 Whether its a new curb or repairing a chipped, cracked or misaligned cub, the J Drain Curb drain by Granger Plastics offers simple installation that allows for substantial savings in time, materials and effort! Eliminate unsightly cracking, chipping or bowing curbs! Once concrete curbs start to deteriorate, they end up looking terrible in front of your home or business. Sometimes, the detriment of the visual drainpipe could result in a possibly dangerous situation by developing a tripping or falling hazard, a possible means to injure a pedestrian or playing child or perhaps damage an automobile or car by extending into the roadway. The J Drain Curb Drain by Granger Plastics eliminates the fears of rusting or dangerous steel piping with its rotationally molded produced curb drain. 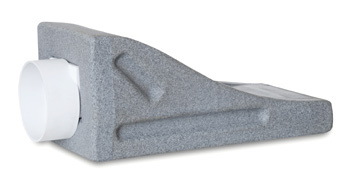 Reduce your expenses and labor with Granger's J Drain Curb Drain! Not only does the J Drain Curb Drain by Granger provide a longer lifespan than most thru the curb drain systems, it requires drastically less work to install! 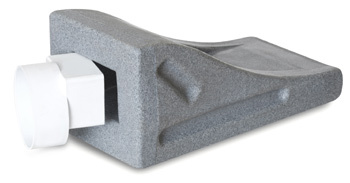 Eliminate the need for messy forms and long hours of potentially back breaking labor, the J Drain Curb Drain from Granger installs easier and faster! 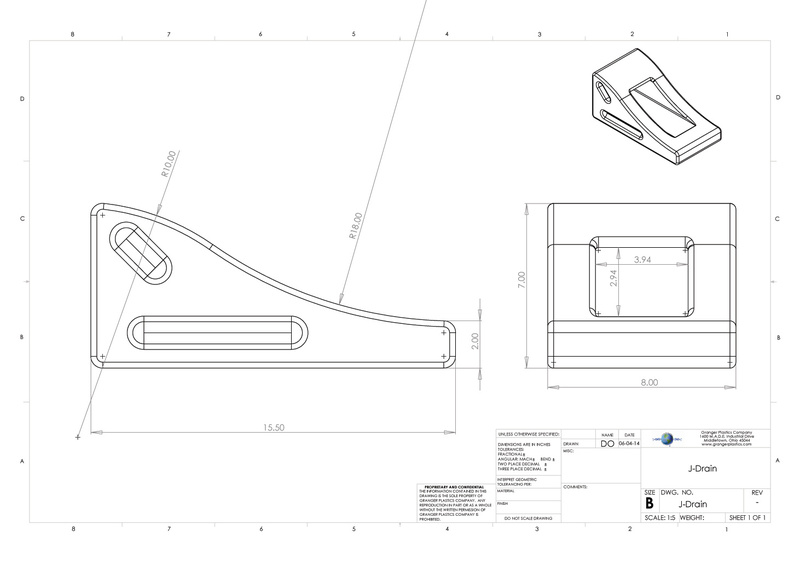 Now offering the J Drain Curb Drain by Granger Plastics in a variety of attractive looks! Available in Solid Grey, Grey Granite, Terra Cotta, Black and Forest Green. Custom colors available in larger quantity orders. Please call or contact for more information.